Everton host Arsenal at Goodison Park on Saturday's early kick-off with the Gunners in desperate need for a win to keep their title hopes alive. 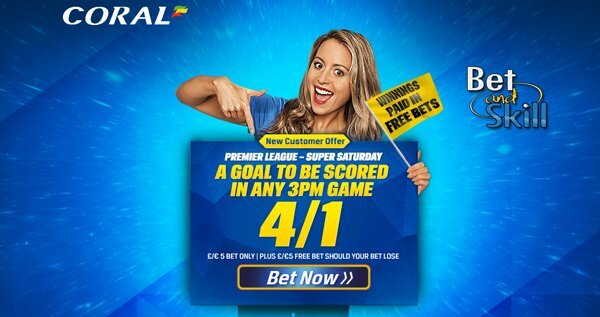 Read here our EVERTON v ARSENAL betting preview with the best predictions and betting tips, starting lineups, enhanced odds, exclusive offers & no deposit free bets on Saturday's Premier League! Everton hae had a dismal run in the Premier League this season and are currently in 12th place. They are coming off a 2-3 defeat in the Premier League in the hands of fifth-running West Ham United on March 5th. Anyway, they will be in a confident mood after dumping out Chelsea in the FA Cup quarter-finals last week. Roberto Martinez will be without the suspended Gareth Barry and Kevin Mirallas while Bryan Oviedo is a serious doubt due to illness. Muhamed Besic in line to replace the veteran midfielder while Leighton Baines could start at left-back then, alongside Phil Jagielka, Ramiro Funes Mori and Seamus Coleman in defence. Aaron Lennon, Ross Barkley and Tom Cleverley are the likely starters in the advanced midfield positions behind Romelu Lukaku. Arsenal are currently 11 points behind leaders Leicester City albeit with a game in hand and have failed to win their last three league encounters. Actually, Wenger's men have won just one of their last eight in all competitions. They settled for a 2-2 draw with fellow contenders Tottenham at the White Hart Lane also on March 5th. Their dismal form has seen them drop out of the FA Cup and Champions League within a week. Mathieu Flamini is ruled out after coming off with a slight knock against Barcelona in midweek. He joins Jack Wilshere, Aaron Ramsey, Mikel Arteta, Petr Cech, Alex Oxlade Chamberlain, Santi Cazorla and Tomas Rosicky on the sidelines. David Ospina will continue in goal, while Gabriel may get the nod ahead of Per Mertesacker in central defence. Welbeck and Giroud are in contention for the lone striker berth while Alexis Sanchez, Joel Campbell and Mesut Ozil will play as offensive midfielders. 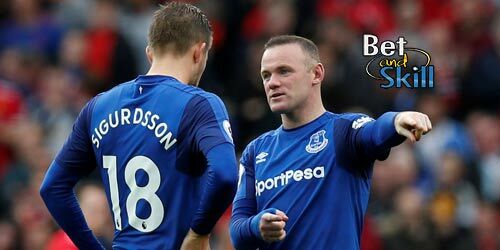 This is a fixture that has undeniably been dominated by Arsenal in recent years as Everton have come out on top just once in 18 matches between the pair. When they faced off earlier in the season, goals from Giroud and Laurent Koscielny earned the Gunners a 2-1 success. EVERTON (4-2-3-1): Robles; Coleman, Jagielka, Funes Mori, Baines; McCarthy, Besic; Lennon, Barkley, Cleverley; Lukaku. ARSENAL (4-2-3-1): Ospina; Bellerin, Gabriel, Koscielny, Monreal; Coquelin, Elneny, campbell, Ozil, Sanchez; Welbeck. Price boosts! 8/1 Everton or 8/1 Arsenal + £100 bonus! Risk-free! Crazy odds! 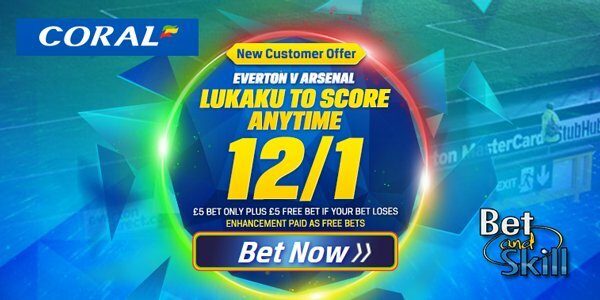 Get 12/1 Lukaku to score anytime + £5 free bet! "Everton v Arsenal predictions, betting tips, odds and lineups (Premier League - 19.3.2016)"